Immigrant students and families across the country carry a diverse set of experiences and cultures within each of our school communities. In the past few years, we have been exposed to a barrage of xenophobic rhetoric in national public discourse, alongside alarming media coverage of abuses at the hands of Immigration and Customs Enforcement. In addition, this administration’s sweeping policy proposals threaten to discriminate on the basis of age, income, and ability to work. Although much of this unrest occurs beyond the walls of our schools and organizations, this political climate informs our perspective on forging effective family and community partnerships, in accordance with the “B” of RIDES’s ABCDs--sense of belonging. In the past few months, members of the Harvard graduate school community mobilized to spread awareness of the public charge proposal, including students from Harvard T.H. Chan School of Public Health, Harvard Law School, Harvard Kennedy School, and Harvard Graduate School of Education. Though not yet passed as a law, this proposal threatens to expand the types of public benefits considered to be a “public charge.” Widespread ramifications of this proposal has spurred trends of families dis-enrolling from benefits beyond those mentioned in the proposal, fearing denial of their status in applying for a visa, green card, or citizenship. From the HGSE perspective, students, faculty, and other community members expressed concern for additional negative consequences of this proposal, including greater rates of truancy, housing displacement, withdrawal from free and reduced price school meals, and general anxiety among undocumented or mixed-status families. School leaders have the position to serve families by developing trust amidst increased skepticism and wariness of public agencies in the wake of ICE deportations. For example, Temporary Protected Status, also known as TPS, was ordered to be terminated within the next year for arrivals from many countries, including Sudan, Nicaragua, Haiti, El Salvador, and Nepal. Furthermore, the United States Department of Homeland Security continues to enforce harsh immigration and asylum constraints, pursuing deportation of long-term immigrants from Vietnam, Cambodia, and other countries. Such deportations have haunted many communities across the country, despite the nation’s 2008 agreement that bars deportation of protected Southeast Asian groups as a condition of establishing diplomatic relations after the Vietnam War. 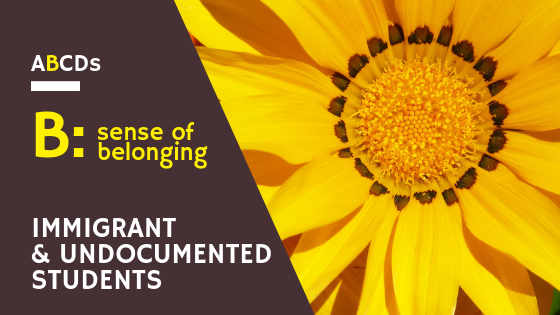 According to the RIDES white paper on Family and Community Partnerships, schools often demonstrate little sensitivity to the nuances of the immigrant experience. This can have dangerous implications in contemporary circumstances where many families face impossible choices--health care, food, and housing versus citizenship. Our white paper offers some strategies of improving partnerships between schools and families, further involving parents and other caregivers in making decisions on their children’s educational experience. Resources provided also include descriptions of exemplar sites around the country where school practitioners are implementing models of family organizing and communication. Ultimately, if we hope to uphold our commitment to dismantling racism and oppression, we need to sustain open dialogue with families and seek to understand their concerns and stresses. To meet their needs, school personnel could develop a positive reputation among communities as a genuine resource for connecting to external services, such as free legal counsel or social service organizations.